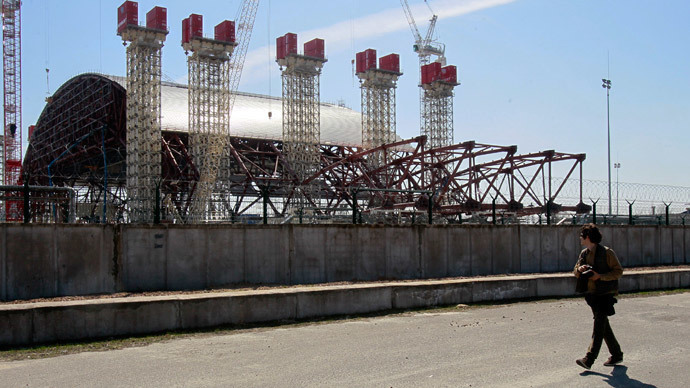 The Chernobyl nuclear power plant has officially launched the decommissioning and dismantling of its first three units. The move to fully shutdown the plant comes 29 years after it became site of the world’s worst nuclear disaster. The State Inspectorate for Nuclear Regulation of Ukraine has issued an order for the complete decommissioning of Units 1, 2 and 3 of the Chernobyl NPP. Though the Unit 4 reactor had been rendered inoperative in the 1986 meltdown, the first three continued to work for years after the devastating accident. Unit 2, 1 and 3 were put off the line in 1991, 1996 and 2000, respectively. Work will now be carried out to bring the three units into a "conserved" state in several stages, the first of which will take at least ten years, according to a statement on the plant’s website. Kiev has allocated $30.2 million for the decommissioning project. “Effects of radiation on the surrounding area and the possibility of accidents during the work do not exceed the regulations established for critical events,” a spokesperson for the plant was quoted as saying by RIA news agency. A Chernobyl site operator said last year when the project was announced that its aim was to bring the three units “to a condition that ensures safe, controlled storage of radioactive substances and sources of ionizing radiation within them." A giant radiation shield is also currently being built around the site of the wrecked Unit 4 reactor as part of an effort to contain the radiation the site continues to leak. In April 1986, as a result of explosion and fire at Chernobyl’s Unit 4, large quantities of radioactive material spread into the atmosphere. While Ukraine, Russia and Belarus bore the brunt of the deadly radiation spreading from the meltdown, increased radiation levels were detected throughout Europe.